Ships today if you order in the next 13 hours 31 minutes. Auto Ship & Earn + 123 Points What's this? The male endocrine system may go through a number of changes as you get older. 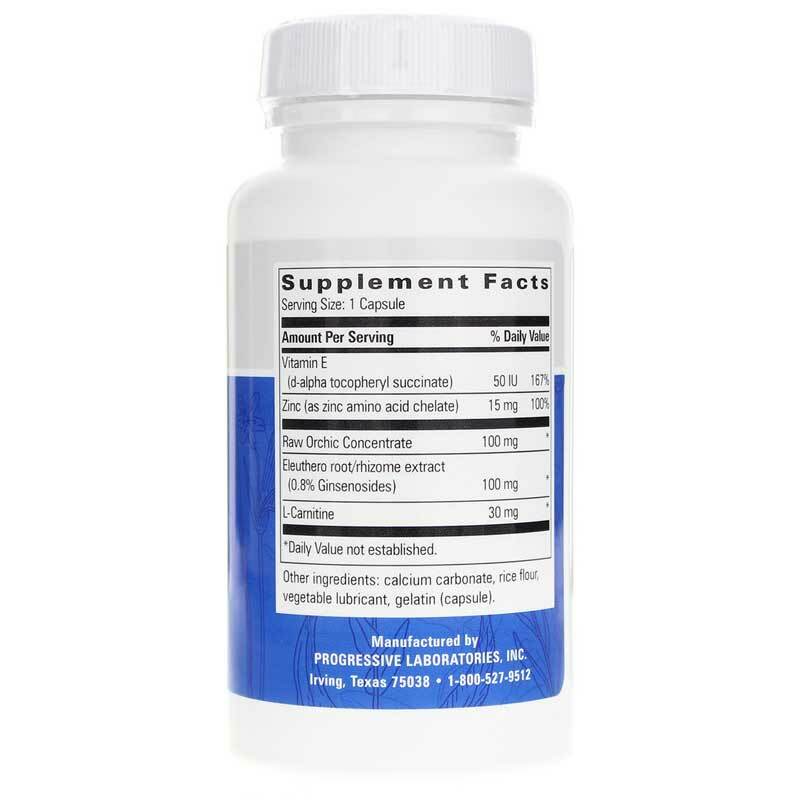 If you've been looking for a way to support your endocrine system and maintain an optimal level of overall health, Progressive Laboratories offers a product that may be just what you need. 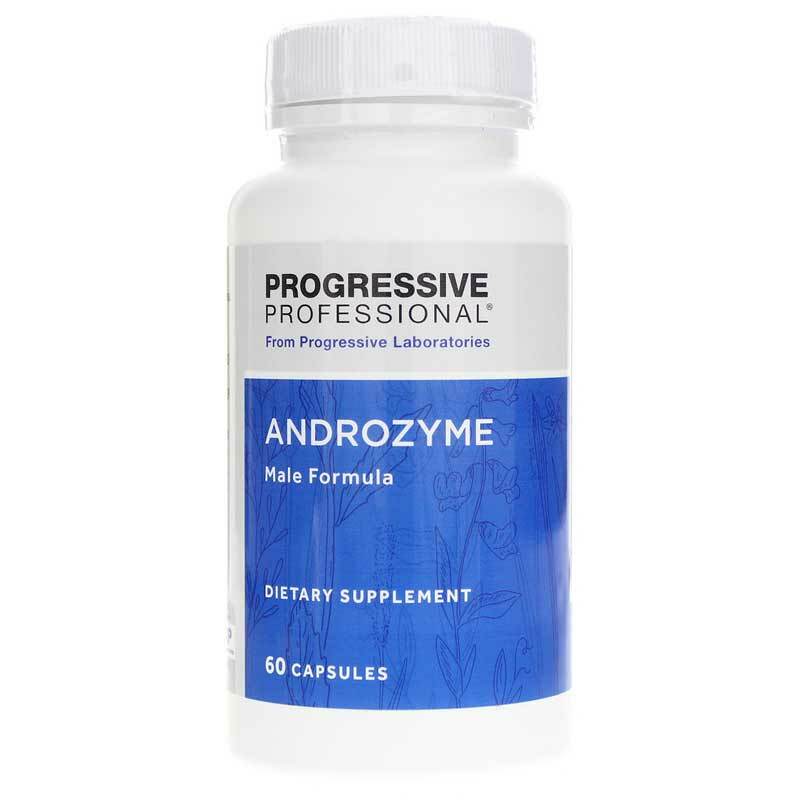 Androzyme Male Formula is a professional-grade dietary supplement for daily use that helps support and maintain optimal overall health, as well as endocrine system health and function in males of all ages. Make the right choice to keep control of your endocrine health and function. Give Androzyme from Progressive Laboratories a try today, and see the difference it may be able to make for you. Order now! Other Ingredients: calcium carbonate, rice flour, vegetable stearate, gelatin. Contains soy. Adults: Take 1 capsule twice daily, or more, as directed by a doctor. 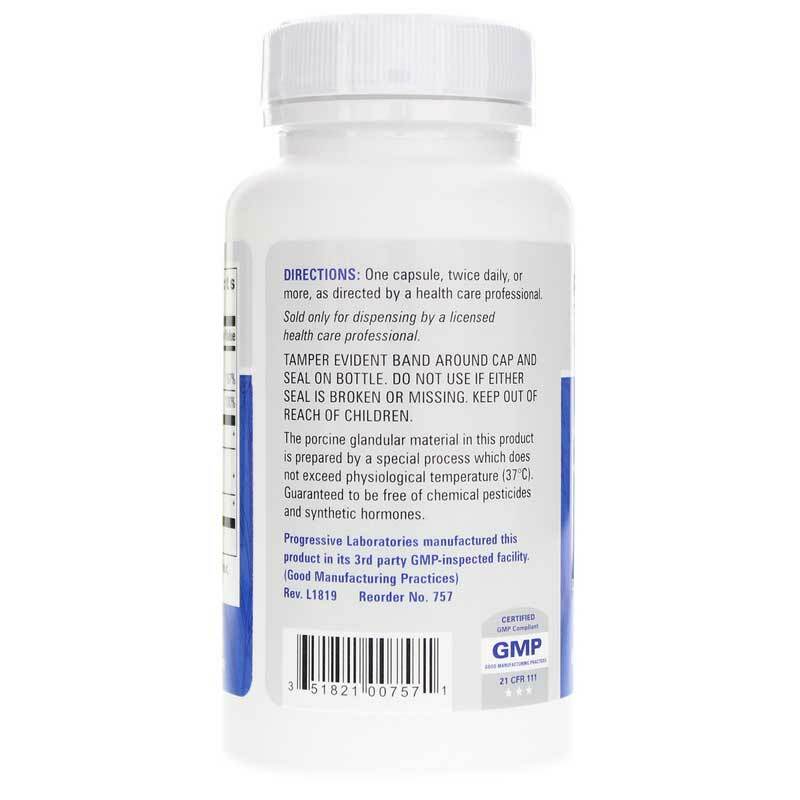 The porcine glandular material in this product is prepared by a special process which does not exceed physiological temperature (37 degrees C). It is guaranteed to be free of chemical pesticides and synthetic hormones.